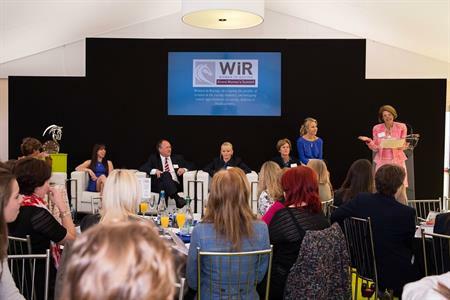 Aintree Racecourse will host the second annual Grand Women's Summit on 8 April to coincide with the Crabbie's Grand National Festival Ladies Day. Channel 4 Racing presenters Gina Harding and Tanya Stevenson will co-host a panel of leading figures from horseracing, sport and business, focussing on gender balance and diversity in sport from participation to corporate and board level. Delegates will enjoy a champagne breakfast sponsored by Moët & Chandon, access to a private facility located in the Red Rum Lawn for the day and a walk of the course with Irish Grand National winning jockey Katie Walsh. Organised by Jockey Club Racecourses North West and Women in Racing with support from Women in Sport, the event celebrates women in horseracing. It offers an informative educational and networking opportunity, whilst experiencing one of the largest horseracing festivals in the world. "Last year was a huge success, with over 115 delegates enjoying a great debate on an important topic followed by a unique course walk around the Grand National fences with jockeys synonymous with the race," said John Baker, regional director for Aintree Racecourse. "We’re looking forward to making it even better this year with high-profile and exciting panellists from the world of sport and business, who will be announced in due course. We’ve also pushed it back an hour to give more time to get to Aintree and are pleased to be able to provide a private facility all day for delegates to enjoy and network [in]," he added. In addition, Women in Racing has agreed a two-year partnership deal with Jockey Club Racecourses Northwest to stage further events across the region's three sites: Aintree, Haydock Park and Carlisle.